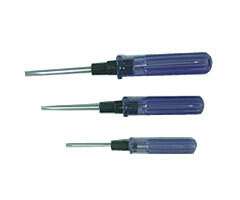 We are one of the leading names in the field of offering a wide range of Screwdrivers. 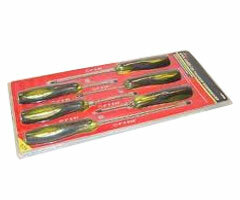 The available options include Square Shank Go-Thru Screwdrivers, Amber square shank go-thru screwdrivers and Diamond two Way Screwdrivers. Made available in different lengths and tip sizes, we can also deliver these in specific design specifications as demanded by the customers. 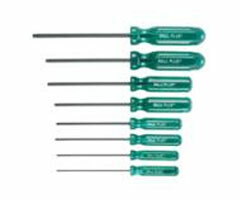 The models offered by us under Square Shank Go-Thru Screwdrivers include 3600, in Amber square shank go-thru screwdriver it is AM-6500 and in Diamond two Way Screwdriver it is D-6038, D-6100, D-6150, D-6200.